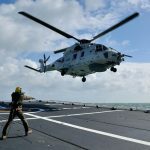 The first operational deployment of the Dutch NH90 Naval Frigate Helicopter (NFH) has commenced on board the Royal Netherlands Navy frigate HrMs De Ruyter. The surface combat vessel left its homeport of Den Helder on 20 January and is now steaming towards the Gulf of Aden to take part in operation Atalanta, the anti-piracy maritime operation being conducted by the EU Naval Force since December 2008. The Dutch Defence Helicopter Commandâ€™s 860 Squadron at Naval Air Station De Kooy had expected to receive its first Full Operational Capability (FOC) NH90 NFH in late 2012. 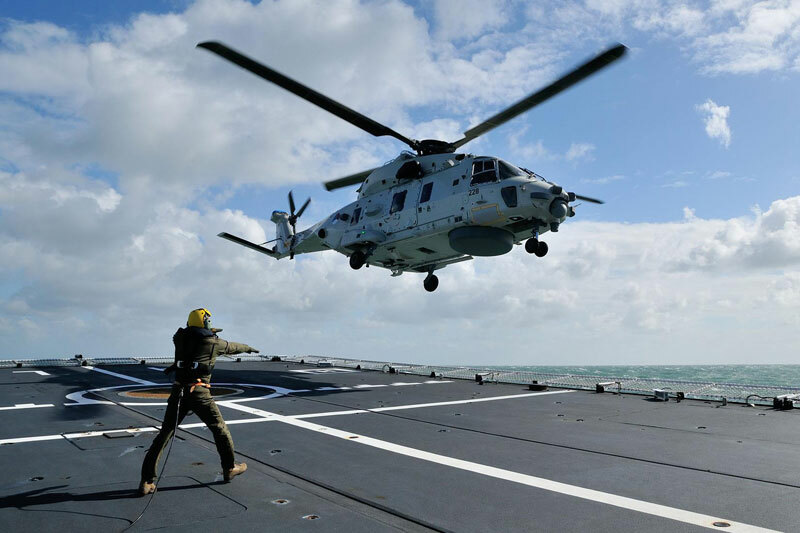 However, due to more delays the first FOC configured NH90 is now expected to arrive in the Netherlands on 25 January, leading to a single NH90 in Meaningful Operational Capability configuration embarking on De Ruyter. 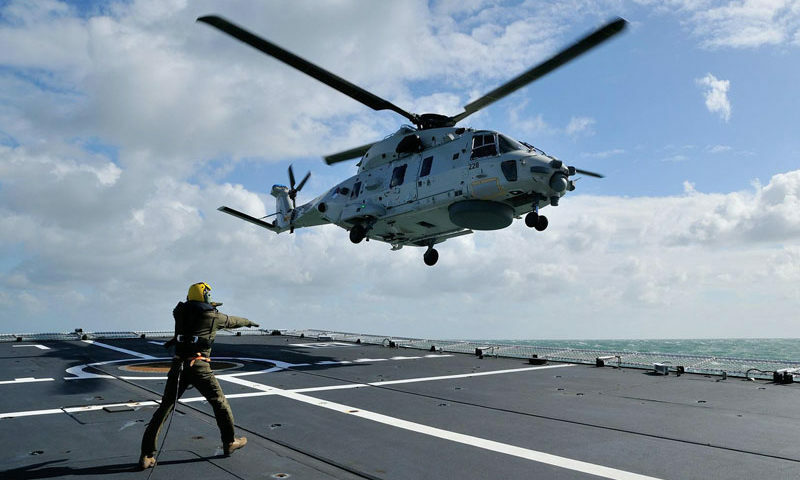 Integrating the NH90 with the Zeven ProvinciÃ«n class air defence (LCF) frigates did not prove easy. 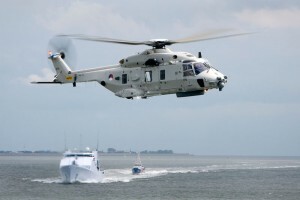 The first trials with the frigateâ€™s DCNS Samahe entrapment and deck handling system were conducted in early 2008 but integration problems were not solved until 2012 when the Dutch navy managed to park a NH90 in the hangar of a LCF frigate with the helicopter landing system for the first time in October. 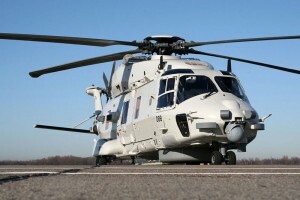 Seven MOC NH90s were present at De Kooy in late 2012, only one of which was mission capable. One airframe is heavily cannibalized while all maintenance activities on another two have been halted due to inadequate maintenance capacity. 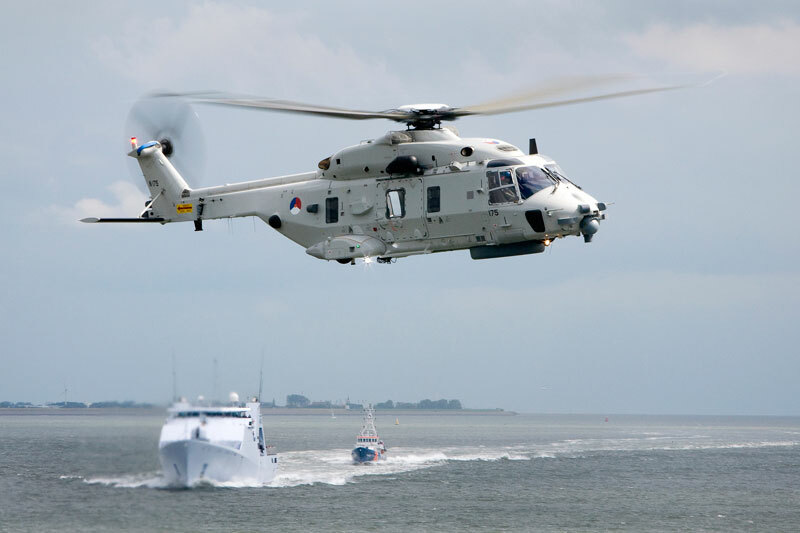 Two more NH90s were being modified with an anti-piracy kit which consists of additional ballistic protection. The aircraft stationed on board De Ruyter is one of the airframes modified by Eurocopter Deutschland personnel in December. Meanwhile, transition from the CH-47D to the CH-47F is slowly gathering pace within the Defence Helicopter Command. Two Foxtrot models were handed over at Gilze-Rijen on 8 October while the Joint Netherlands Training Detachment (JNTD) in the US had also received two CH-47Fs by early October. 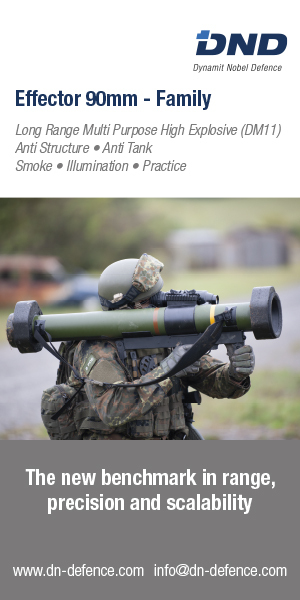 A third Chinook was added to the JNTD inventory at Fort Hood, Texas on 14 January after having been handed over to Defence Materiel Organisation representatives on 11 January. 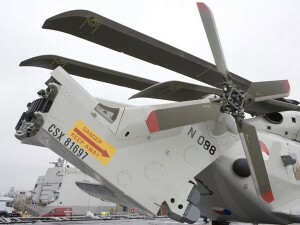 The final aircraft of the initial batch of six CH-47Fs is now expected to be transferred to DMO on 26 March and should be operational at Gilze-Rijen by mid-May.